A changing of seasons can often feel like a personal reinvention, specifically the transition from Winter into Spring. The cold, harsh winds of Winter come with a lot of heft; you've trapped yourself indoors for nearly three months and everything around starts to slowly die as you pine for an escape by any means necessary. You're forced to reflect on personal traumas and the twisted thoughts that like to wait until the darkest, coldest nights to rear their ugly heads and torment you until you feel like you might just break. It's in those moments that you search for even a sliver of light -- something bright to cling to, and something that makes you feel both understood and accepted, and nothing has done the trick better than the iridescent pop music of Evergreen Park's City Mouth. 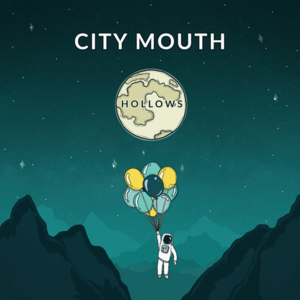 On 'Hollows,' City Mouth offers a kaleidoscopic view of the human condition; focusing mostly on the importance of learning to pick yourself up off the ground and continuing to move forward after being anchored down by personal trauma for what might feel like a lifetime. This comes to a head on songs like the ambitious opener "Lay Awake." The sing-song cadence of the first verse feels playful and full of a youthful energy that contrasts the feelings of jaded bitterness that make up the lyrical content -- the track sees horns that give way to synth and a chorus that ensure listeners that "You are not alone when you lay awake." And again on the brutally honest "Body and Blood," which wastes no time taking listeners to the plunging depths of personal trauma and broken faith, as communicated by the lyrics "Will fear of God send me to heaven?/Or am I gonna need something more?/Because I've been terrified from the beginning/I just wanna know what I should prepare for/The Bible hasn't given me comfort/I was baptized on a bedroom floor/where I taught myself this feeling was my fault/and I don't want to feel the shame anymore." 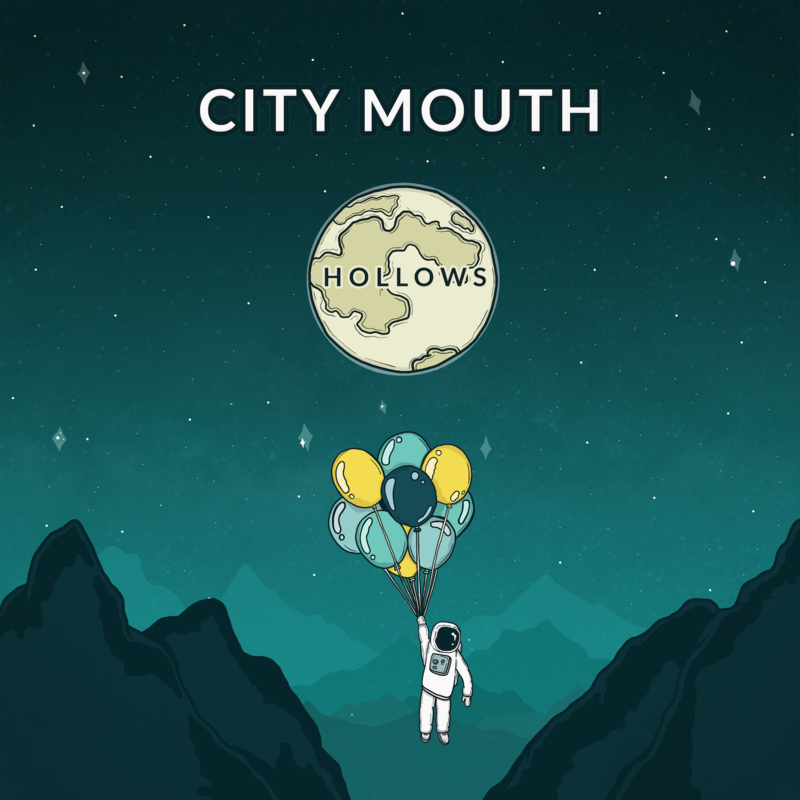 The EP, which was produced by Dan Lambton of Real Friends and engineered by Dave Knox of Real Friends and AJ Khah of Sleep On It, sees City Mouth wanting to help you to move forward from the depths of personal plaguing, inviting you to revel in the jubilance of early Spring as waves of synth and horns swell around flawless vocal melodies and songwriting poignant enough to make the middle of April feel like the breath of fresh air that kickstarts life anew.